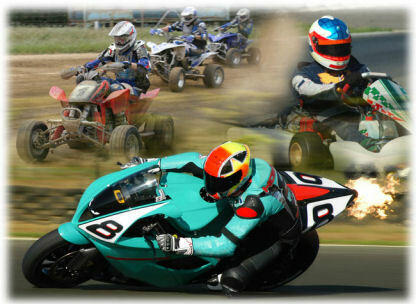 TorqSoft develops software applications that are an aid to motorsport competitors and race engineers. Our aim is to give you that "winning edge". Our software tools are designed with your ease of use a top priority. (1)	Can input positive and negative squish angles. 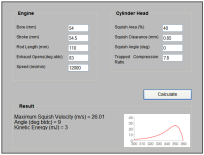 Can calculate velocity for offset chambers. (2)	Can input gudgeon pin / crankshaft offset. (3)	Can input triangular, trapazoidal and mixed trapezoidal/rectangular shaped ports as well as conventional rectangular shaped ones. Can have a maximum of 4 exhaust ports. (4)	Can input trapazoidal and mixed trapezoidal/rectangular shaped ports as well as conventional rectangular shaped ones. (5)	Can input bathtub shaped combustion chambers. (6)	Can create dxf files for laser cutting as well as pdf files. (7a) This programme allows you to create a dxf file with the templates for fabricating a bend. (7b) As of (7a) but with the added feature of variable radius bends. (8) This programme will design an exhaust system using the Blair Method. Please note though that the Torqsoft Method - as found in the works exhaust design membership - will design an exhaust that produces considerably more power. (9) This programme will design unlimited championship level exhaust systems using the Torqsoft Method. It will provide you with the cone dimensions that you may enter into the Exhaust Designer Programme for producing a PDF or DXF file of the Cone Templates to use for pipe fabrication. This is the actual programme we use to design customer pipes. (10) Requires combined "works tuner" and "works exhaust designer" membership.